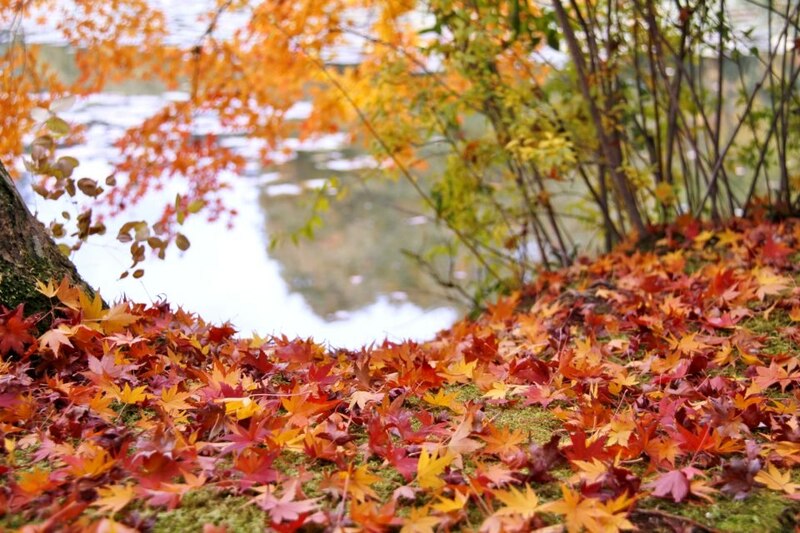 If nature tripping is your kind of recreation and you adore trees, then you should visit some autumn leaf viewing spots in Japan. 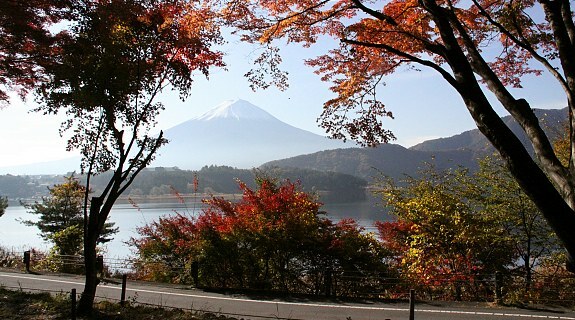 Kawaguchi-ko or lake Kawaguchi is among the prominent five lakes of Mt. 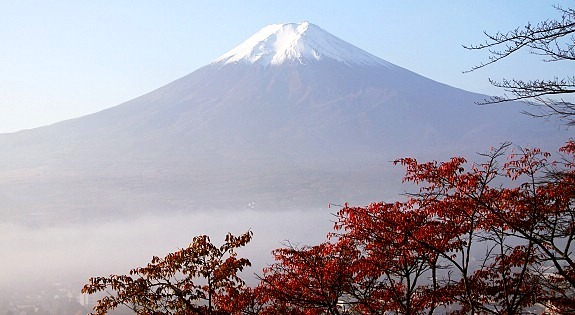 Fuji, the tallest mountain in Japan and a world heritage site. 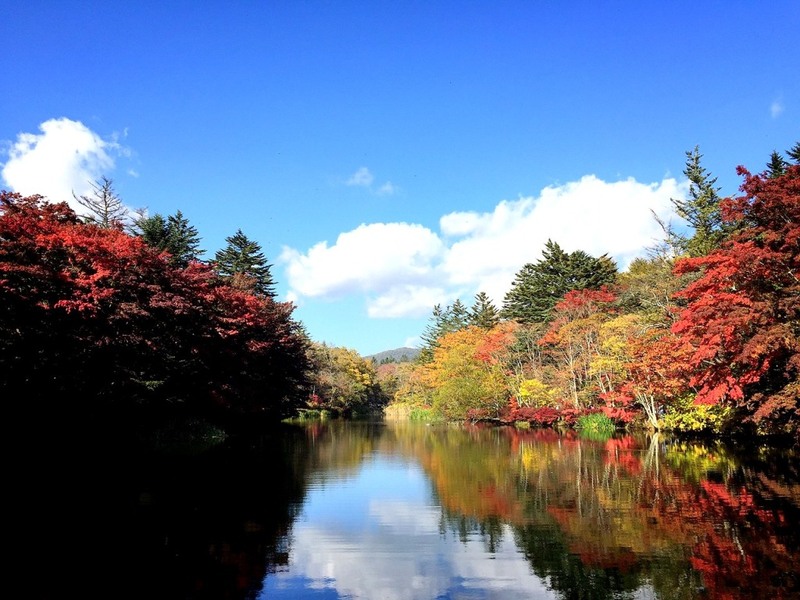 There are many places to see around Kawaguchi Lake such as hotsprings, library and museum, dining areas, botanical garden, Mt. Fuji observatory... In our case, we took the retro-style sightseeing bus to get around these places for JPY 1200. We reached Kawaguchiko station around lunch time. We took the train from Hachiogi. If you are coming from Shinjiku, there is a tourist bus that departs for Kawaguchiko station at 8:30 AM. The bus ride will take about 90 minutes and is cheaper. I suggest you get up bright and early to catch the first bus and begin your adventure at once. 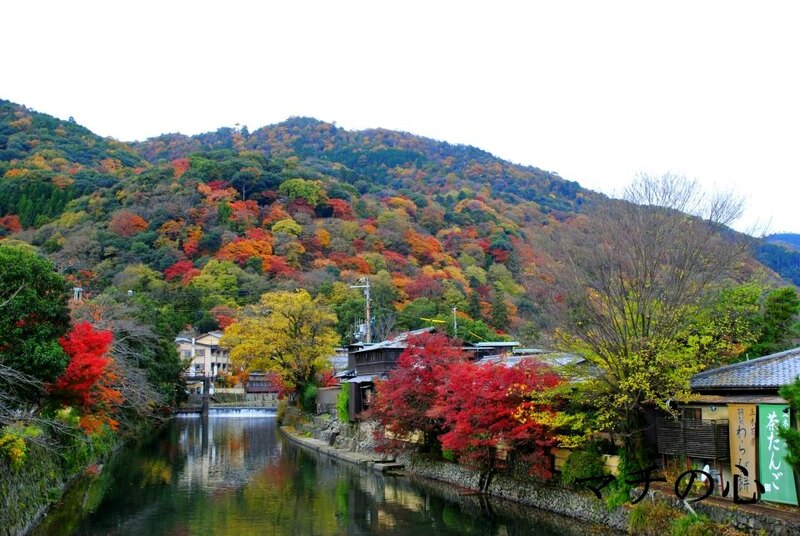 Aside from the northern prefectures, you can go to Nagano for an early "koyo" (autumn colors) viewing. 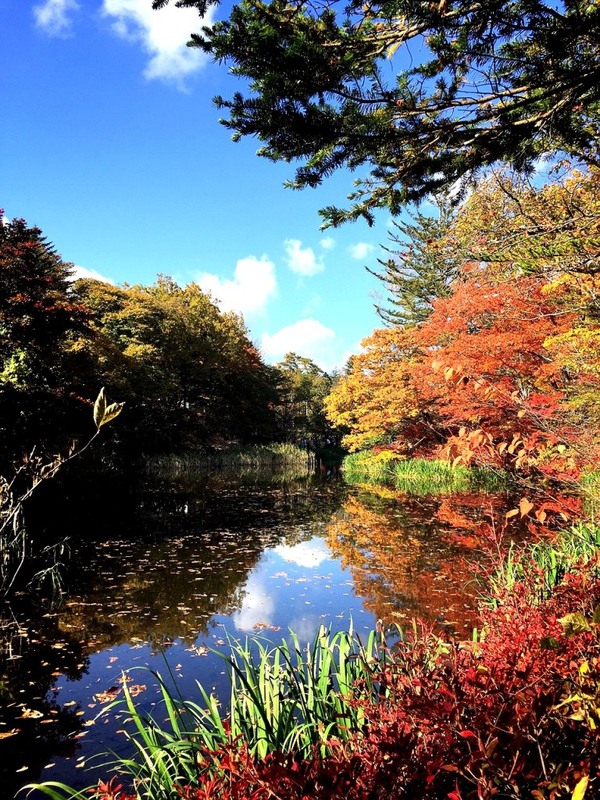 My friend's favorite and recommended place is Karuizawa. Autumn comes early here because of its high altitude. 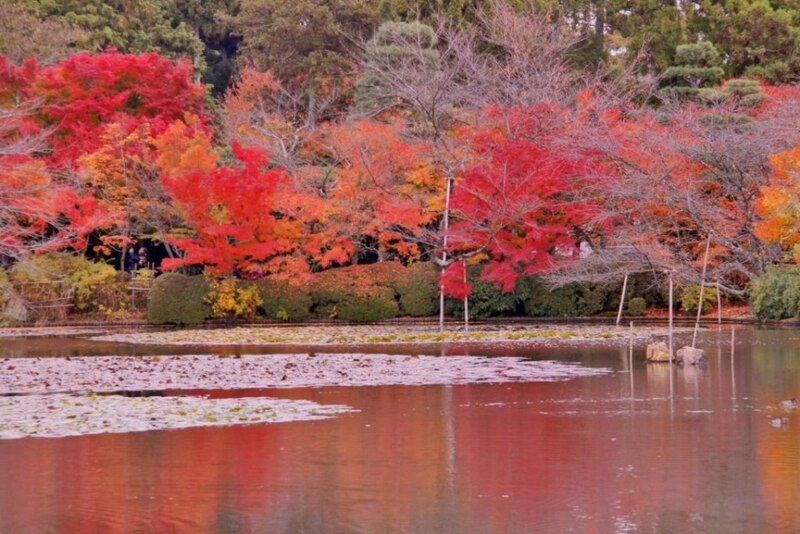 You can enjoy the colorful leaves particularly in Kumoba Pond. Colorful Larch and Maple trees can be best viewed in the end of October to the beginning of November. 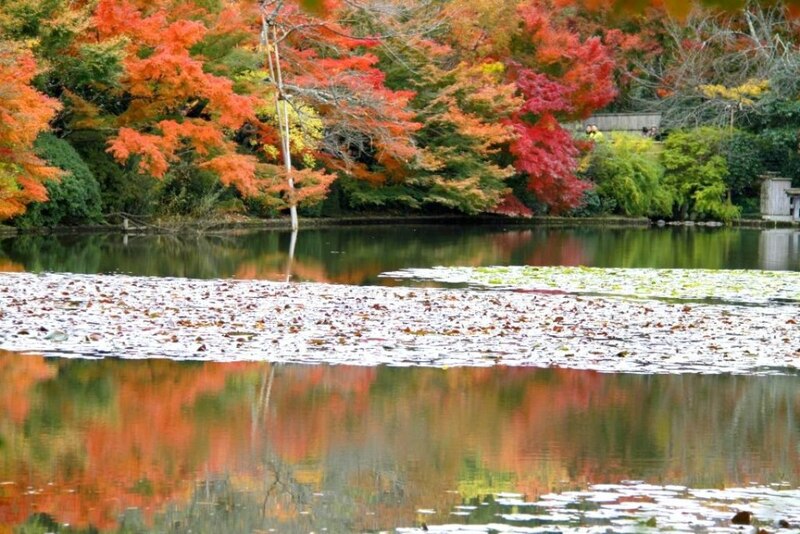 Kumoba Pond is easily accessed from Karuizawa Station. It's a few minute walk and probably the best trail for you. Enjoy the sight of beautiful trees dressed in bright red, orange and yellow leaves as you feel the cool, breezy weather. 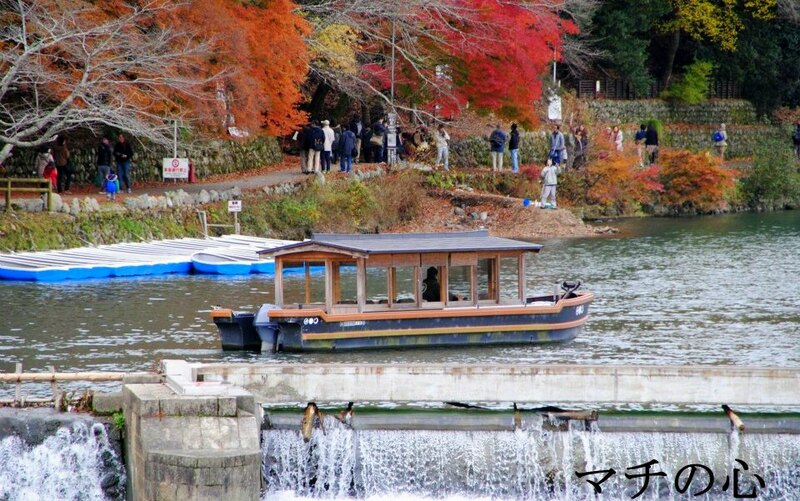 If you plan to come to this place, October 2nd to November 3rd would be the best time as they hold an autumn festival during this period. In line with the festival, hotels and museums give discounts to travelers. You can take the JR Nagano Shinkansen from Tokyo and expect to arrive within 70 minutes. 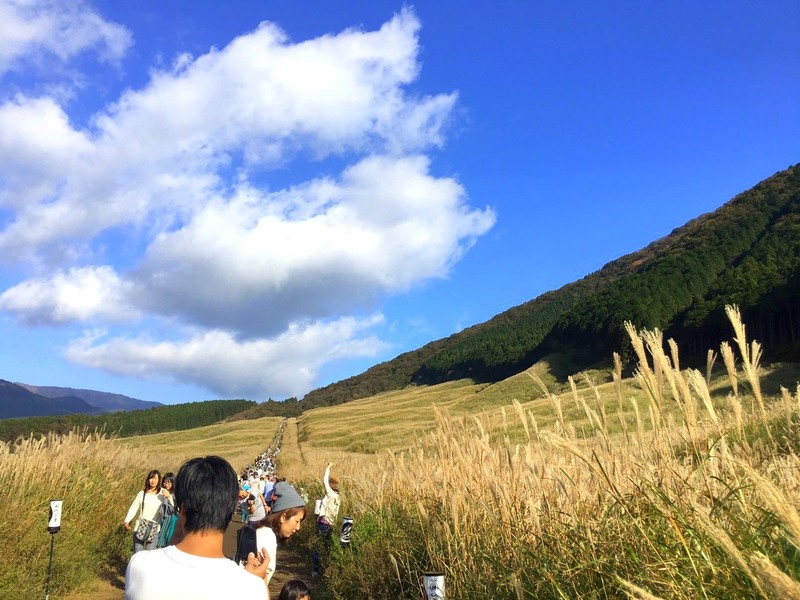 If you want to take your autumn nature tripping to a literally higher level, you can go to Shiretoko in Hokkaido. It is situated in the northernmost part of the island, in a higher geographic location. The Shiretoko National Park has a vast selection of wildlife, surely you won't miss a thing! The colorful sceneries plus the wild bears and eagles can amuse you. 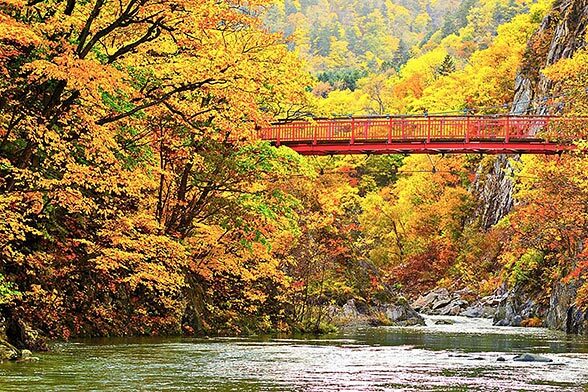 You can take the “Momiji Kappa Bus” to get around Jozankei gorge. You can also go to the Kushiro Shitsugen, largest in marshland Japan. The best time for viewing is at around mid-October. I went to Hokkaido last month but wasn't able to go to Shiretoko. It's quite far. I'd really love to pay a visit as Shiretoko has been designated one of the UNESCO World Natural Heritage Sites in Japan. In my next journey I will go there to see the brown and black bears. I just need to convince Hiropi to endure a longer train ride. 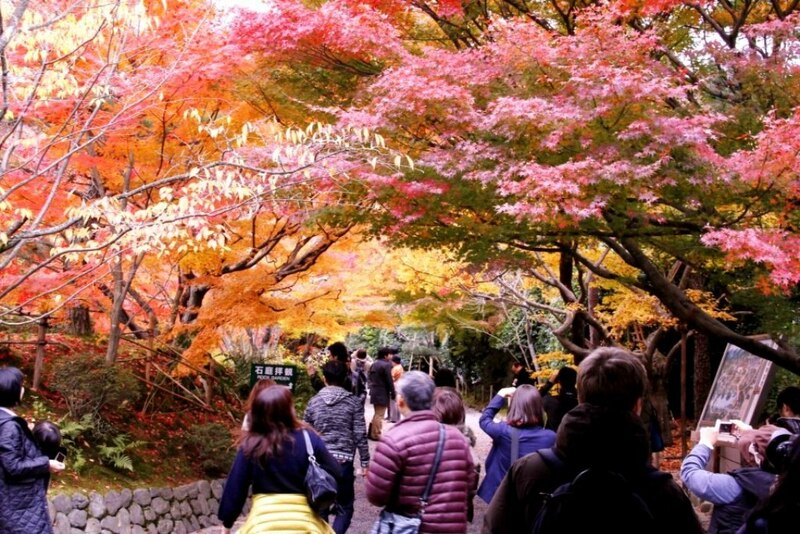 Kyoto has always been among the most-visited sites in Japan. I don't wonder why. It has the loveliest, historical sight-seeing spots that can definitely take your breath away. 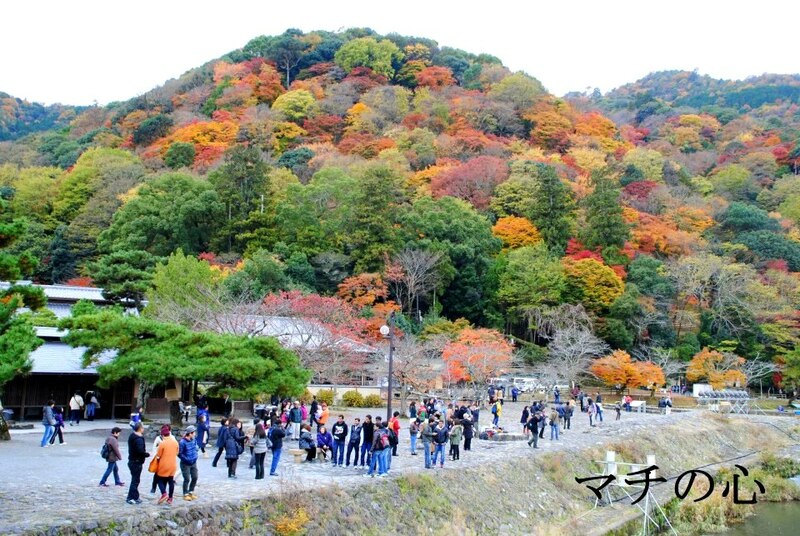 Another favorite spot is the Arashiyama. This place has scenic bamboo forest, groves, monkey museums and water vistas. 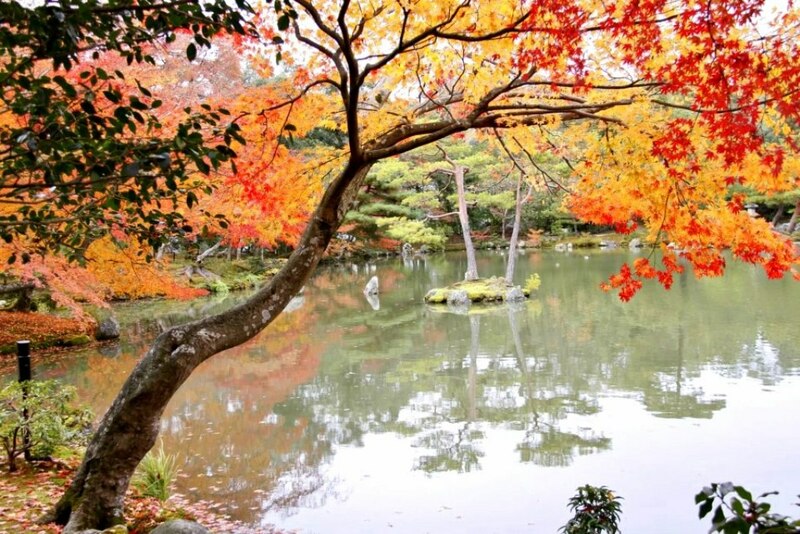 Located in the western outskirts of Kyoto, it is very accessible from central Kyoto. Kamakura is no doubt a go-to spot for travelers staying in Tokyo mainly because of it accessibility. 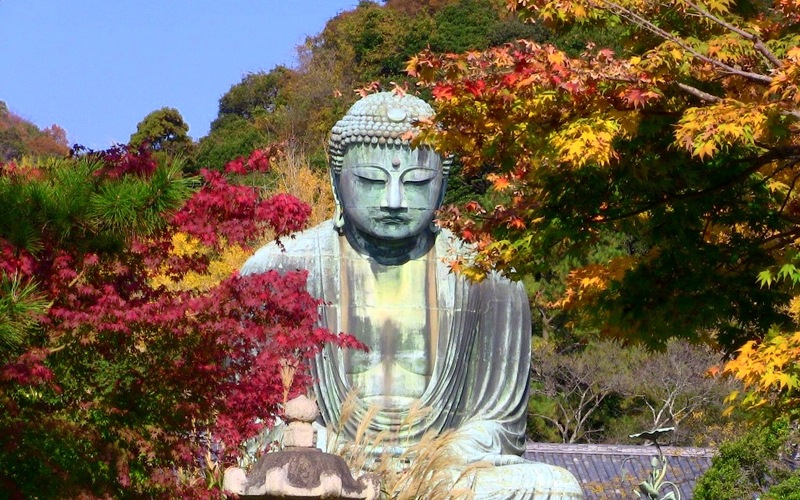 The great Buddha, also known as the "Daibutsu" resides here, in Kotoku-in Temple. This statue is made of bronze and is roughly 13 meters in height. History tells this landmark remains sturdy even after a 15th-century tsunami. The best spot to welcome this phase is Sengokuhara in Hakone. One can admire the magnificence of Kanagawa Pampas grasses as well as the invigorating nearby botanical gardens here. It can be my ideal weekend respite -- with mother nature. 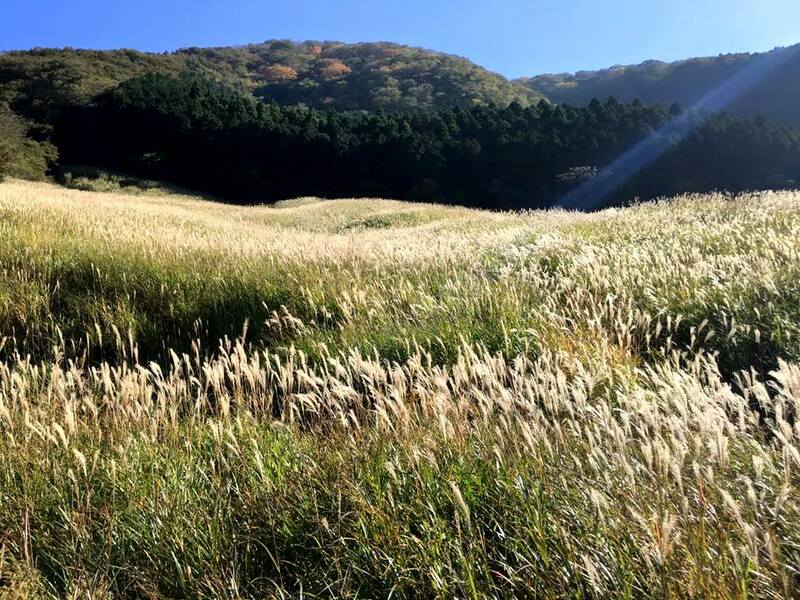 By the way, Pampas grasses remind me of my childhood in the mountainside. But in Japan I heard that it reminds people of the coming autumn. 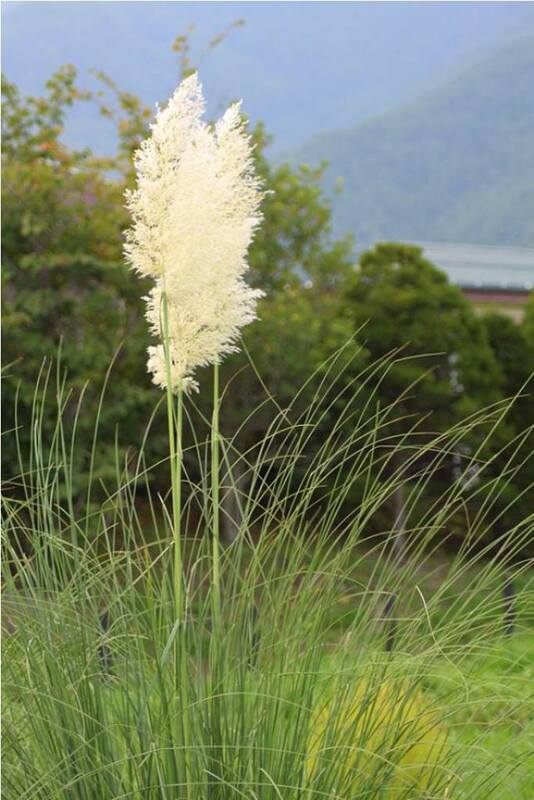 They commonly call the Pampas grass Susuki or Japanse Susuki... Where I come from we call it Talahib. Honestly, I think Japan is an excellent tourist destination no matter the season. 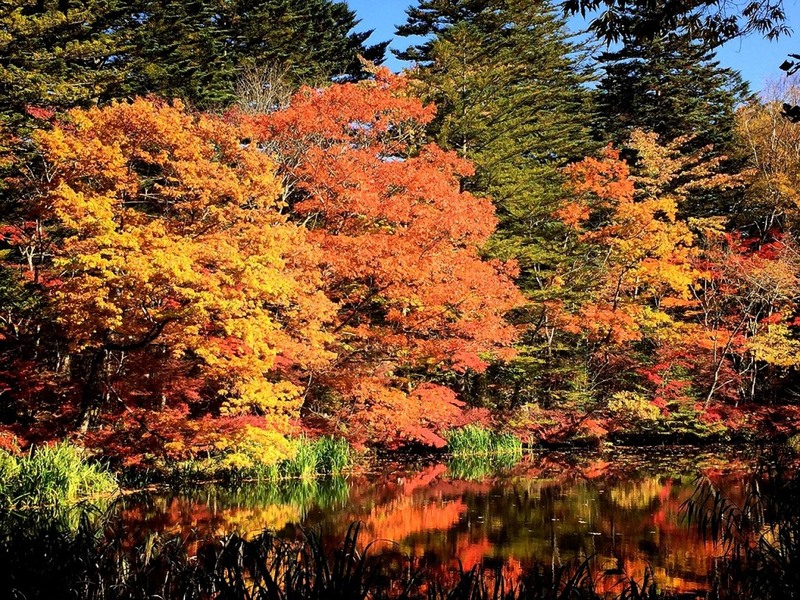 But if you want to be mesmerized by the vibrant fall colors; if you want to try succulent, tasty produce (or in my case melon, cucumber and baked pumpkins); if you want to wander in boots and fab autumn OOTD, the best season to visit Japan would be NOW! How about you? What is your favorite autumn spot? You can also share your favorite activities in the fall season by leaving your comments below!